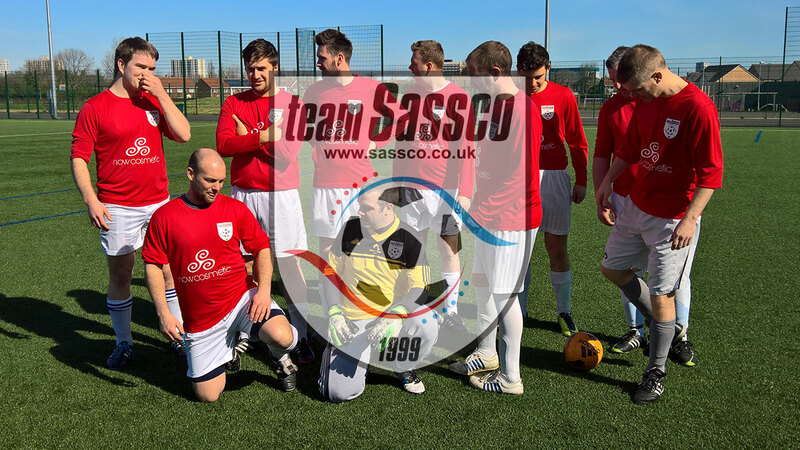 Sassco's 11-a-side team sprung into action in 2002, developed from a set of players from the different 6-a-side teams, who were playing in the Sassco Leagues since 1999. The team never really achieved a great deal in terms of silverware, coming close in a final in their second season. However, the events undertaken by Sassco far surpass any other teams in their generation. Pioneering Adidas team kits from overseas, recording 11-a-side games in widescreen, customised soccer balls developed in Asia, overseas football tours and prestigious friendlies against Northern League teams and teams from outside their own leagues. The team is still active and recently played at the Stadium of Light, as well as regular friendly games against local opponents. For one of their most recent games, five players from the original line up back in 2002 were present.